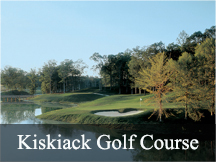 Must stay at Kingsmill Resort to play Plantation Course and River Course starting in 2014, Woods Course will be Private. Arnold Palmer teamed with Ed Seay to create something wonderful in the Plantation Course. 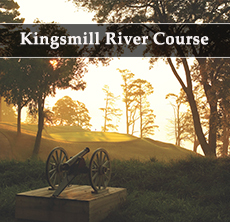 Named after the landmarks from Richard Kingsmill’s 1736 plantation that pepper the course, a round here is part golf history and part American History. 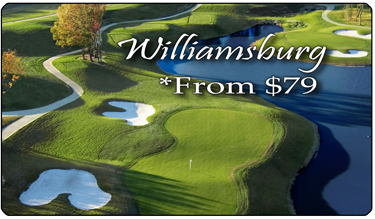 The shortened 6,432-yard layout makes the course accessible for women and senior players (Golf Digest cites the Plantation Course as one of the Top 10 courses for women), but with towering woods, deep ravines, and water in play on eight holes, it’s challenging enough to hold the interest of all player levels. Strong iron play and a steady putter are richly rewarded here. As is an eye for classic course design and an appreciation for the simple joys of natural beauty.